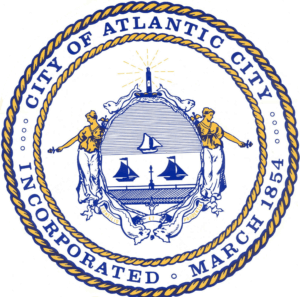 Casinos in AC post three consecutive years of revenue gains! Once again, brick-and-mortar casinos in Atlantic City report solid gains. According to New Jersey’s DGE, casino revenue is up for the third year in a row. Not to mention, revenue reported from online casino and sports betting is also up. So without further ado, let’s dive into the facts and crunch some numbers! On January 14th, the DGE revealed that NJ’s nine casinos generated $209 Million in December. After reviewing the report from December 2018, we learned that revenue is up by 12.3% YOY. However, these figures don’t represent NJ online casinos and sports betting. When you tally in those two markets, revenue increased to 19.5% overall. After totalling in all sources of revenue, the numbers stood at a solid $2.9 Billion. Also, slot revenue grew 10.7% YOY to $146.5 Million. At the same time, table game revenue also jumped 16.2% to $62.5 Million. Furthermore, the Borgata led all casinos in terms of financial gains. According to the charts, they generated $57.4 Million in revenue. Not to mention, Resorts Casino also posted gains of 2.3% to $14.2 Million. There’s no doubt about it, 2018 was a good year for Atlantic City casinos. And as we look ahead, predictions indicate 2019 will be much bigger than last year. On that note, Hard Rock and Ocean Resort Casino didn’t join the scene until late June. So going forward, 2019 will most definitely have something huge in store for both properties. Although Ocean Resort Casino claims they sold the casino last week, but the identity of the buyer still hasn’t come public. However, if the claims are true, CEO Bruce Deifik said the new owners plan to invest Millions into the property. Beyond that, sports betting will also get a full year of wagers in 2019. Therefore, if 2019 looks anything like the last six months, then reports for the next year should be all positive.